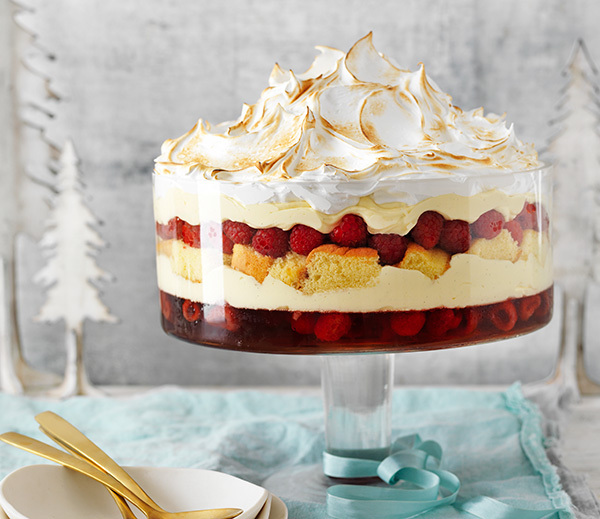 A trifle is the ultimate dessert solution if you’ve been invited to a last-minute soiree. 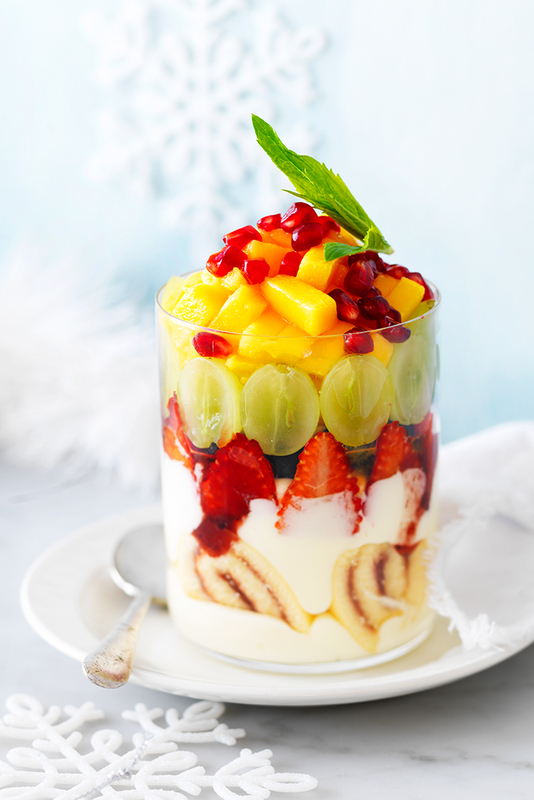 Or if you’re looking for a fuss-free Christmas dessert a trifle is the perfect match. To build a show-stopping trifle actually requires very little effort. Traditionally a trifle consists of cake pieces, custard, fruit pieces and jelly. It requires little cooking and there a number of ingredients that you can mix and match in your trifle. 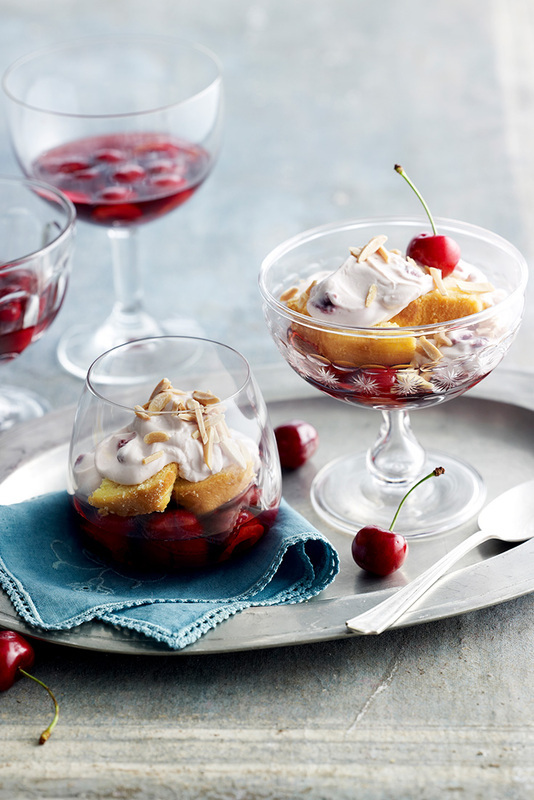 It is important to choose a large bowl preferably glass that will allow you to fit all the layers of the trifle. Having a clear bowl will also allow you to show-off the beautiful layers. One thing to remember when choosing your base layer is to ensure it’s strong enough to hold at the bottom when all the other layers pile on. Lady fingers or sponge traditionally work well, but also a layer of brownie, spiced cake or gingerbread cookies and jelly work too. One tip to remember is to prepare your jelly earlier, as you need the base to be set and ready before adding the custard layer. After the base, it’s time for a layer of creaminess. Homemade or store bought custard would bring the dish together quite nicely. Whipped creamy would work as well. This layer is crucial as it breaks up the heaviness in the trifle. For extra flavour add a caramel sauce or fruit puree to your custard layer. You really can pick and choose what fruit you prefer in your trifle. Although try go for fruits that are in season for more intense flavour. 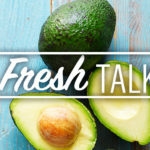 Be sure to place fruit right up against the glass edge, as this leaves for a more striking dish. After adding the fruit, it’s time to repeat. 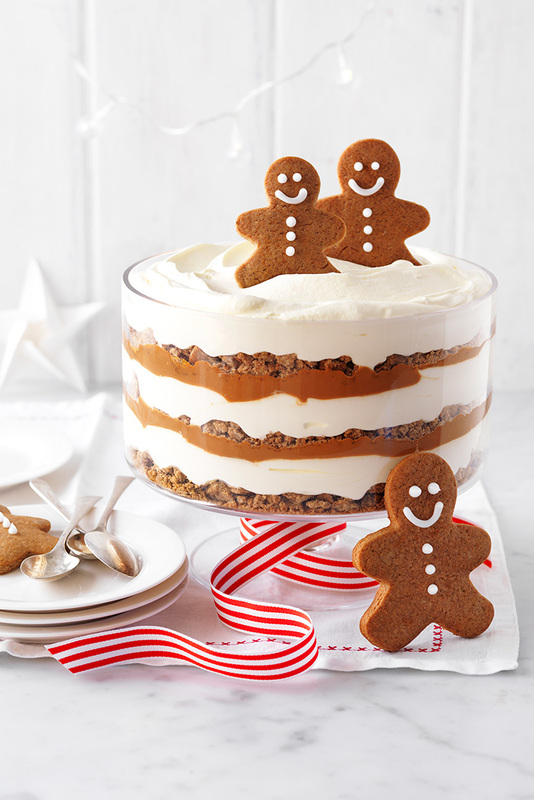 Keep layering until the trifle dish is full. Once your dish is filled to the brim it’s time to top it. 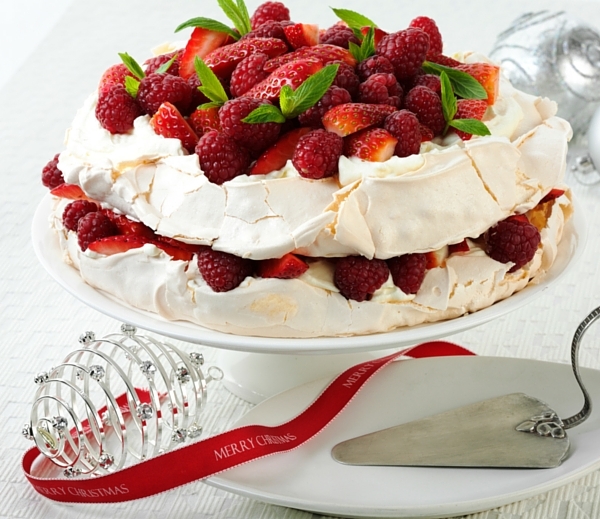 Whipped cream is a favourite but meringue is also another topping idea. Trifles are so versatile so there is no wrong choice.